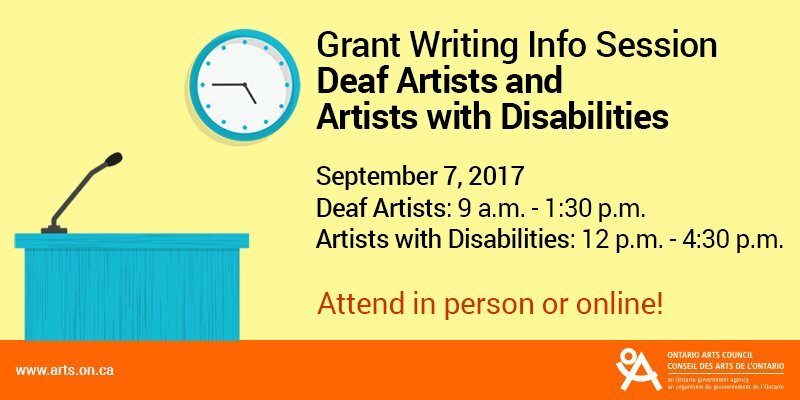 If you’re a deaf artist or an artist working with a disability AND you’re a resident of Ontario, check out this link for the Ontario Arts Council’s upcoming Grant Writing Info Session, which will take place on September 7. You can attend in person or online. The deadline for the related arts project grants is October 5.